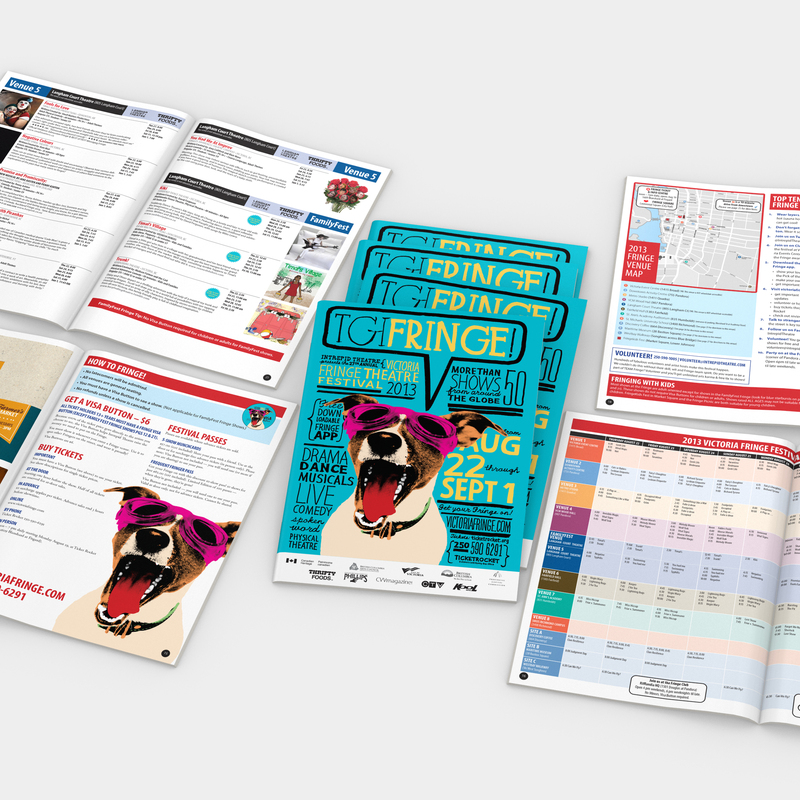 Each year since 1994 we've created original artwork for the Fringe, usually emphasizing the more comic aspects of the festival. 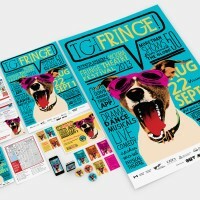 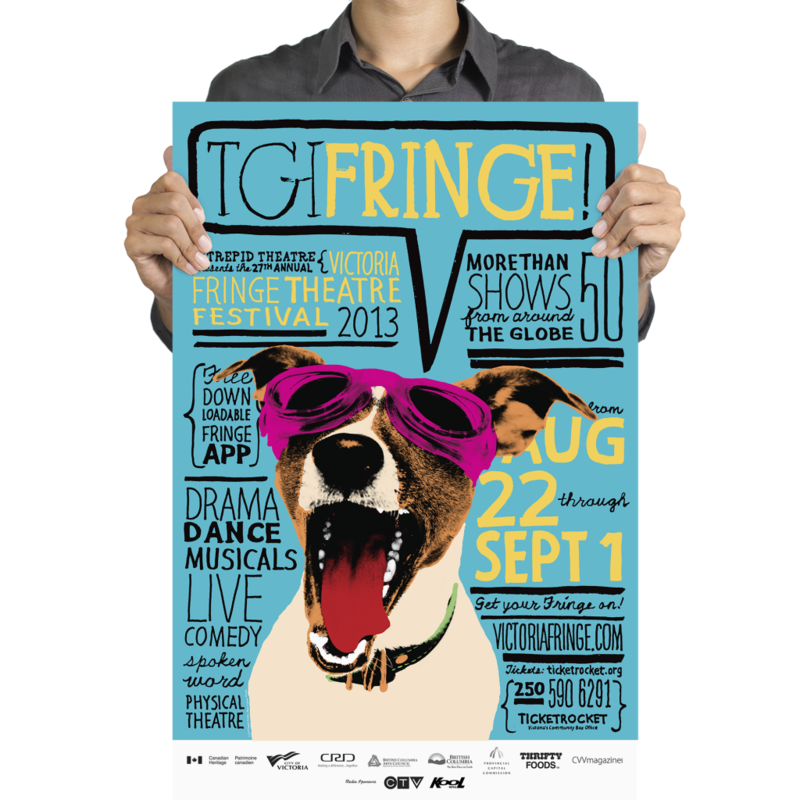 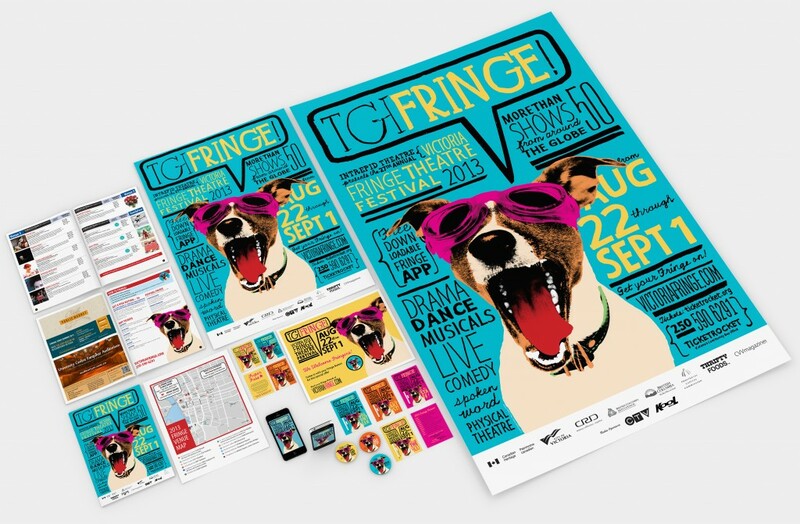 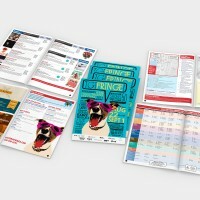 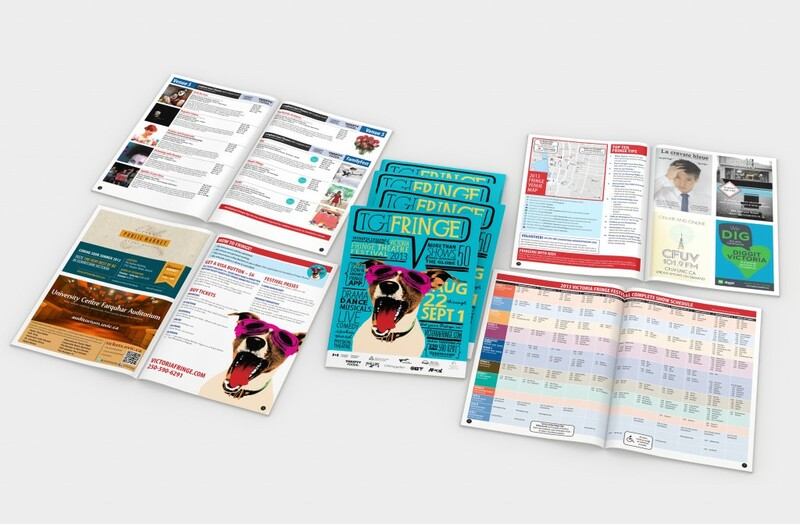 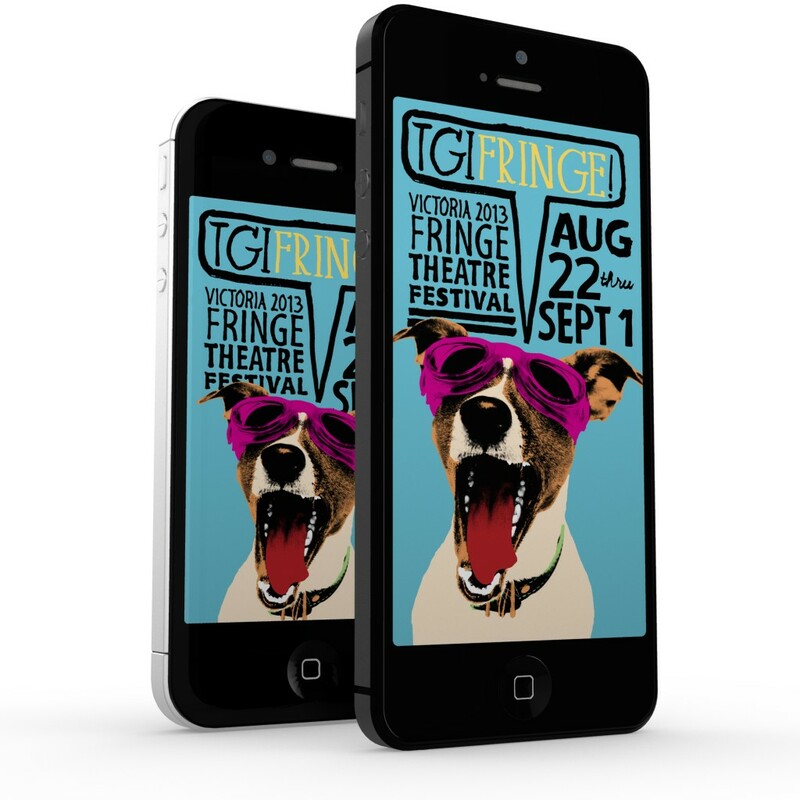 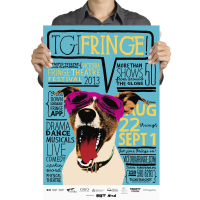 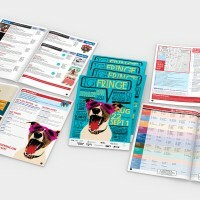 Graphics are applied to posters, programs, buttons, passes, lanyards, street banners, sandwich boards, print ads, bus shelters, transit ads, and the web. 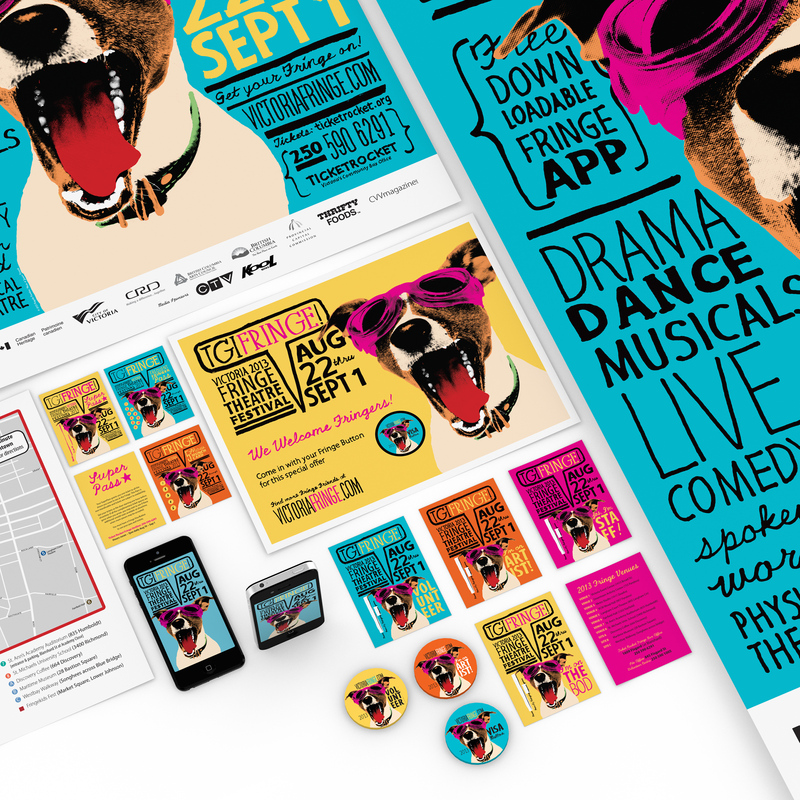 This year we colourized a stock image of the goggle-wearing doggie, and then hand-lettered (with brush and ink) all the text that appears on the posters, program guide cover, badges, buttons, cards and iPhone app screens.